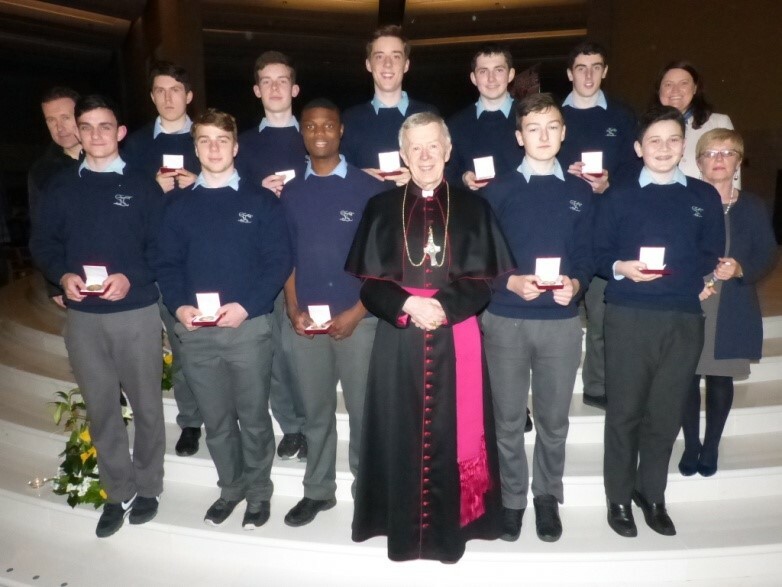 Ten of our 5th year students recently received their John Paul II Awards in the Basilica in Knock. The Awards were presented by Archbishop Michael Neary. Our students were complimented on the work they did in their parish and in their helping those in need in our community. Congratulations to Luke Ward, Cian Tighe, Enda Mulchrone, Matthew Flynn, Ciaran Goldrick, Barry Walsh, Mark Balaski, Thierry Baba, Hugh Gaffney and Ciaran Hanlon.